CWB – USA recently wrapped a tour along the Balkan Route (#refugeeroad), deepening the relationships that were initiated in 2017. Bekah Smith remembers both the strength and vulnerability of the people she met along the way. We did it! 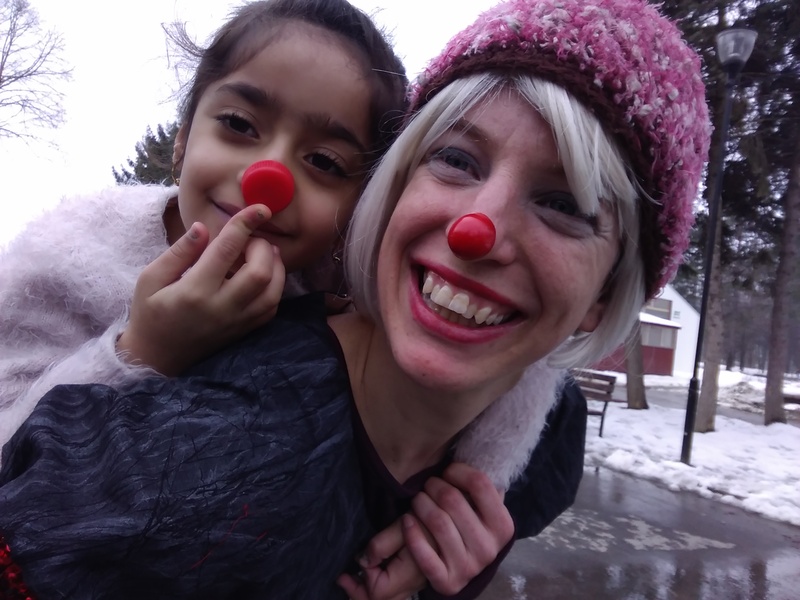 Another successful project winds down, and I’m reflecting on everything I witnessed during this project in the Balkans: Such amazing clowns, such strong people along the way, and such terrible situations that they face. 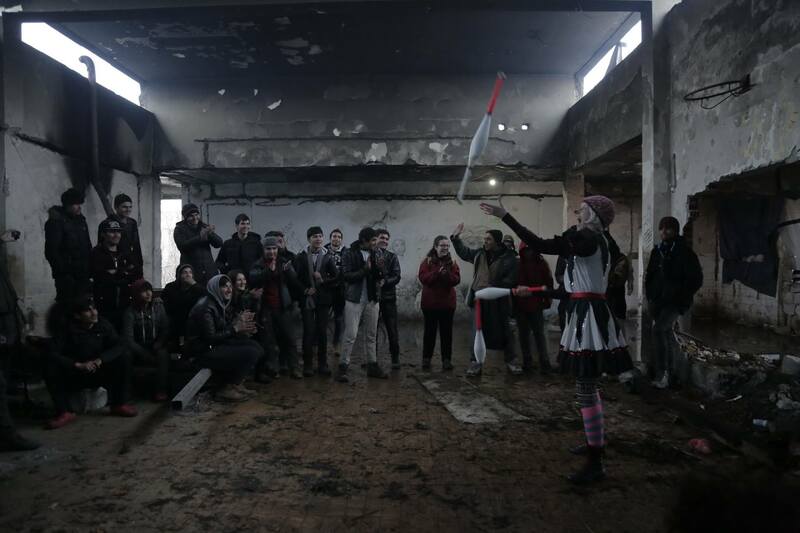 Crumbling buildings, muddy forests, improvised camp sites—these are the beautiful stages where the clowns shine. Our laughter cuts through the darkness as we do a show illuminated only by headlights. I can see my breath in the air as I pant through my juggling act in the sub-freezing temperatures of Slovenia and Serbia. And after many of our shows, we’re filthy, cold and exhausted! I’m inspired by the strength and resilience of the people we meet. Adults and children alike have been stuck along the Balkan Route for many months or years. Many of the young men talk about playing “the game,” where they try to sneak across borders every night. Often they are beaten, humiliated, and deported…yet they try again the next night because they have nothing to lose. These are some of the people who cheer us on, roar with laughter at our antics, and beg us to stay another day. I wish we could stay longer. One happy memory stands out to me: A shy girl of about three years old latches onto me after one of our shows. While the wilder kids chase after bubbles and learn magic tricks, this girl wants only to be held. How such a tiny person could hug me so fiercely, I will never know…but I hope that she travels safely and finds a new home soon.